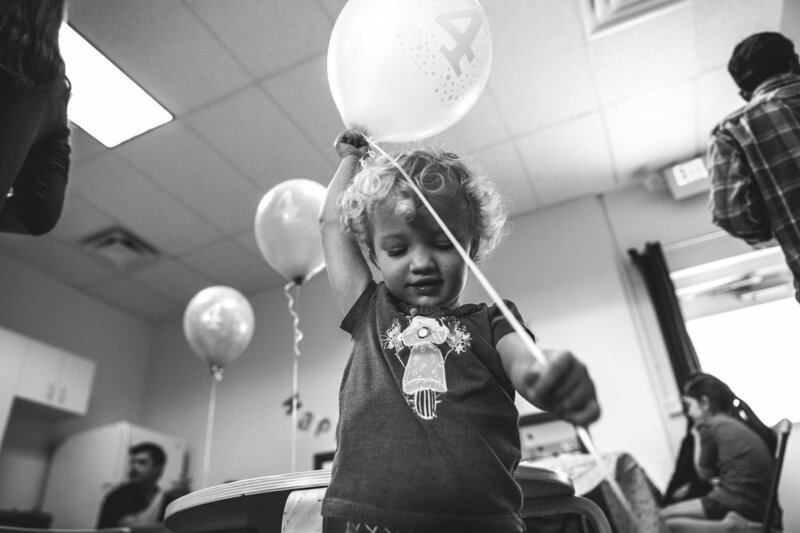 To say that Millie had a blast at her birthday party at Family Connections would be an understatement. She was one hundred percent BLOWN AWAY by each and every single present she received. It was legitimately the most precious thing I’ve ever seen in life. One of her favorite things at the gym was horsing around on the trampoline with the big kids. After all, what else to do with a trampoline full of giant balls other than smash your friends in the face with them? It's what childhood's all about. 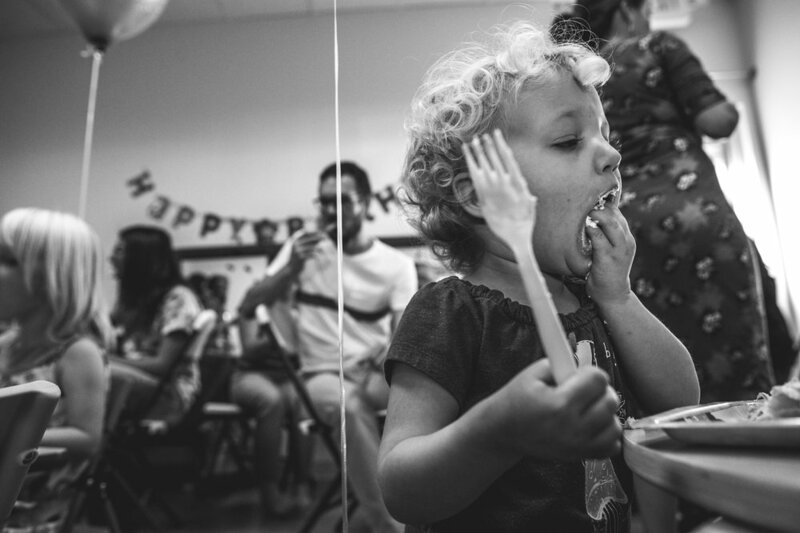 And, of course, stuffing their faces with lots of cake and playing with balloons. The Family Connections kids’ gym was a big hit with one and all. And the best part? 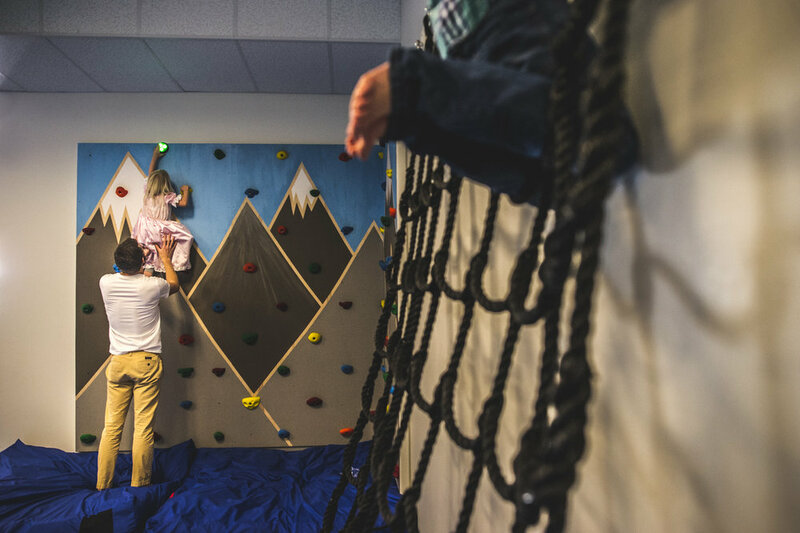 I have begun a partnership with Family Connections Kid’s Gym to be their on-call photographer for events! 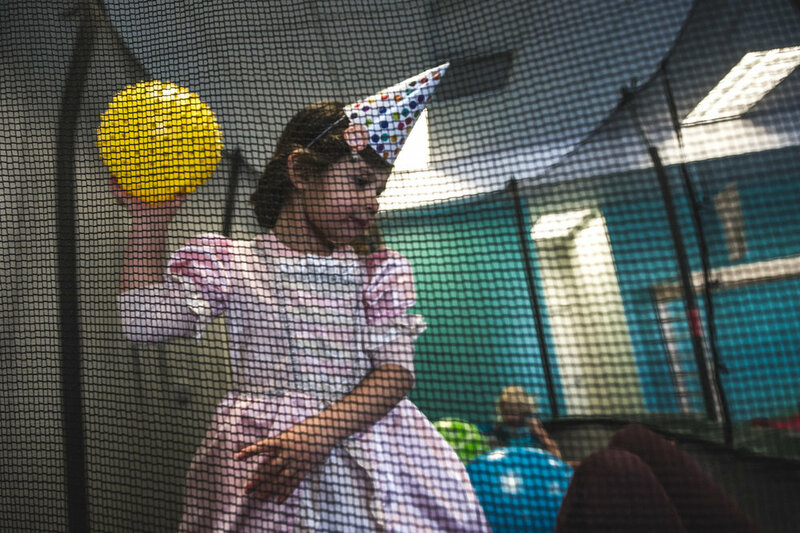 Book your child's birthday party or other event at Family Connections Thera-Play kids' gym and you’ll receive special pricing on my documentary photography event session fees as well as the full resolution digital files at no additional cost! 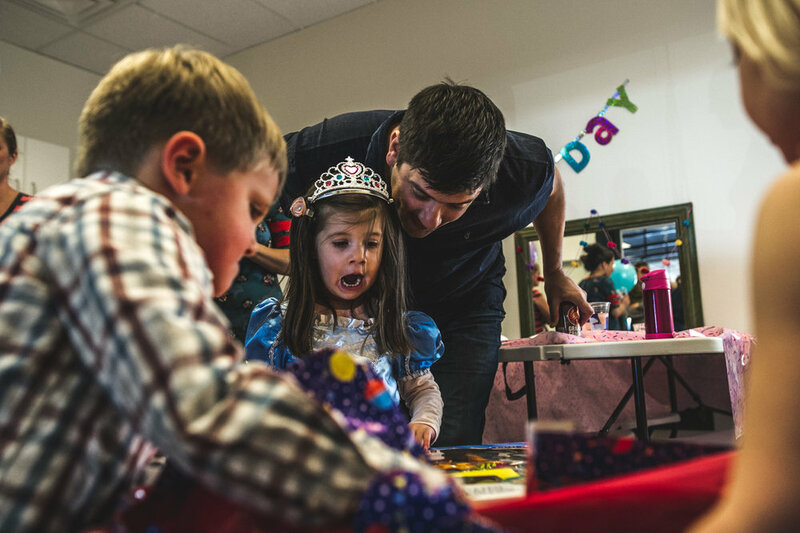 You’ll also receive a discount on your Family Connections birthday party package. Check out my event page for more information. 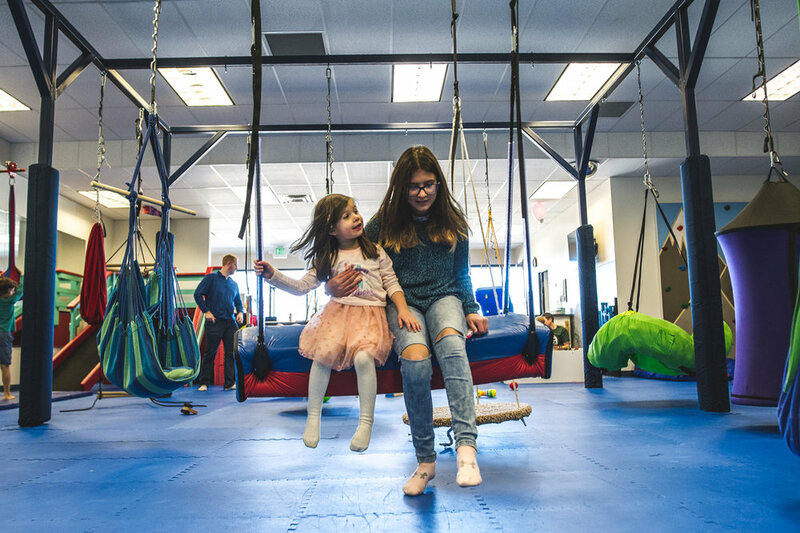 Family Connections is a full inclusion sensory gym designed for children of ALL abilities - for neurotypical and neurodiverse children alike. 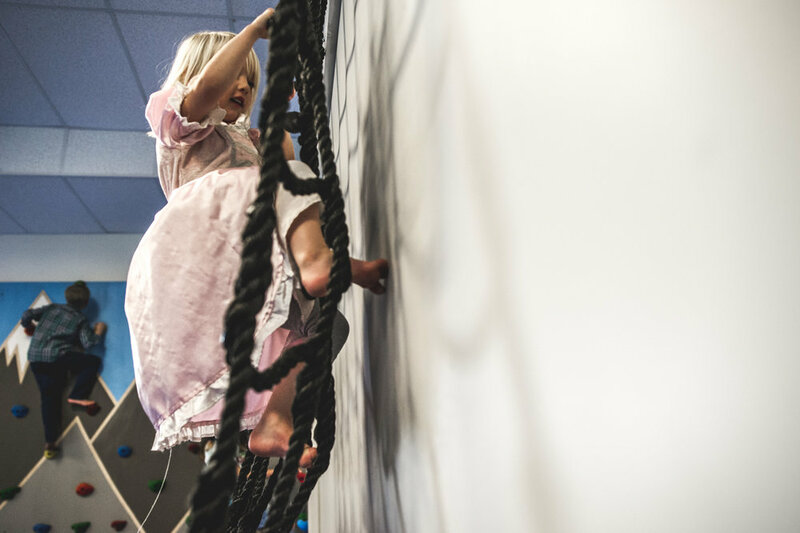 The equipment, including a zipline, swings, a trampoline, a rock climbing wall, & a sensory & fine motor area, provides children with a place where they can play, learn, & develop motor, cognitive, & social skills.